Having only been listed for sale in March this year, the award-winning Abeking & Rasmussen motoryacht Elandess has been sold with Burgess representing the seller and Glynn Smith of Denison Yacht Sales introducing the buyer. The 60m motoryacht, recently exhibited at the Palm Beach International Boat Show, had a final asking price of €52.5 million. Elandess was delivered by the German shipyard in August 2009. 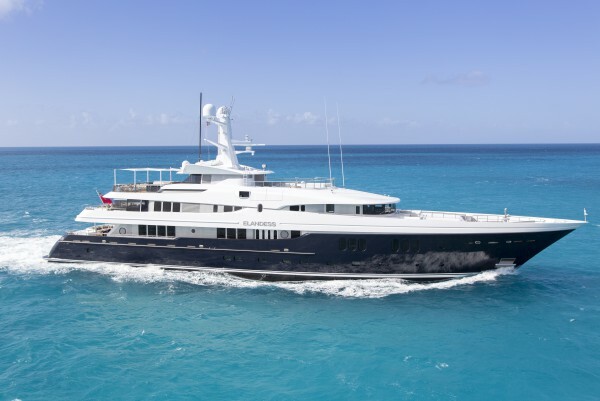 In addition to her first-class build pedigree, she is the result of a collaboration between two highly acclaimed design studios; Donald Starkey Designs worked on the exterior whilst the interior styling was completed by Bannenberg & Rowell Design. Her design work was acknowledged with the Best Power 40-65m accolade at the International Superyacht Society Awards in 2010. Three other big sales have been announced this week – 54.9m Serenity, 63.1m New Sunrise (also sold by Burgess) and 46m Just J’s. Serenity and Elandess were listed for sale earlier this year, then exhibited at the Palm Beach International Boat Show – alongside Just J’s – and all three have been sold since.